The only word I can repeat after using the Corsair HS70 WIRELESS Headset that is designed for PCs and Playstation 4 console gamers is FINALLY! Finding a high quality wireless headset for the PS4 while not breaking my bank has been a fruitless search – until now. 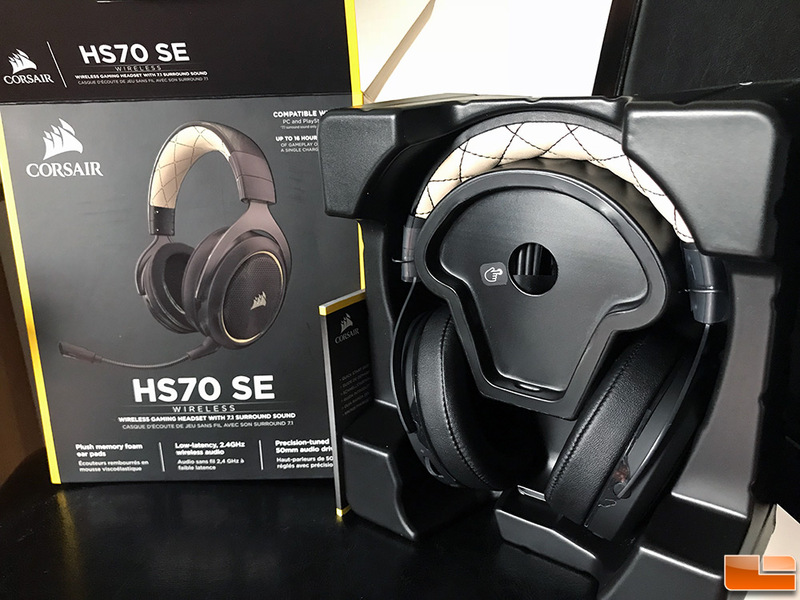 At an MSRP of $89.99, the Corsair HS70 WIRELESS is a Fortnite player’s dream: high quality performance at a very affordable price. 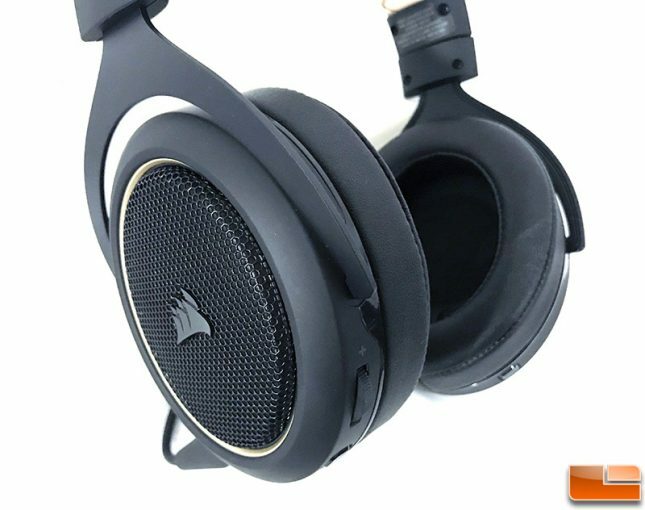 Corsair has achieved an admirable balance in sound quality, low latency, extreme comfort, and affordable price. The Corsair HS70 WIRELESS is compatible with PC and PlayStation 4 and provides outstanding sound quality for both, offering an immersive audio experience for gamers everywhere. It is a beautiful addition to the Corsair headset line. The Corsair HS70 WIRELESS is a very comfortable headset that stands the test of time; namely, 8-ish hours playing Fortnite on the PlayStation Network. The memory foam on the headband performed perfectly. The softness of the headband allowed it to rest comfortably while keeping its shape and not causing it to grind into my skull. This is always a deal breaker for me with other brands – I do not want a heavy, clunky headset and the Corsair HS70 WIRELESS headset is the opposite. This headset gets a huge positive mark for the comfort level. I was able to remove it without feeling the pain of taking off what sometimes feels like gamer helmet. The HS70 WIRELESS headset is surprisingly light for having such a sturdy aluminum alloy structure, similar to previous Corsair models. Corsair has figured out how to balance sturdy and comfortable with this headset. The memory foam cushion on the headband protect you from loads of pressure and allows the headset to simply rest on your head. The adjustable memory foam ear cups fully and comfortably cover around the ear with a soft, leather feel; the balanced comfort that the HS70 WIRELESS provides is really just hard to beat. Having a headset on for nearly 8 hours and still being comfortable and dry. 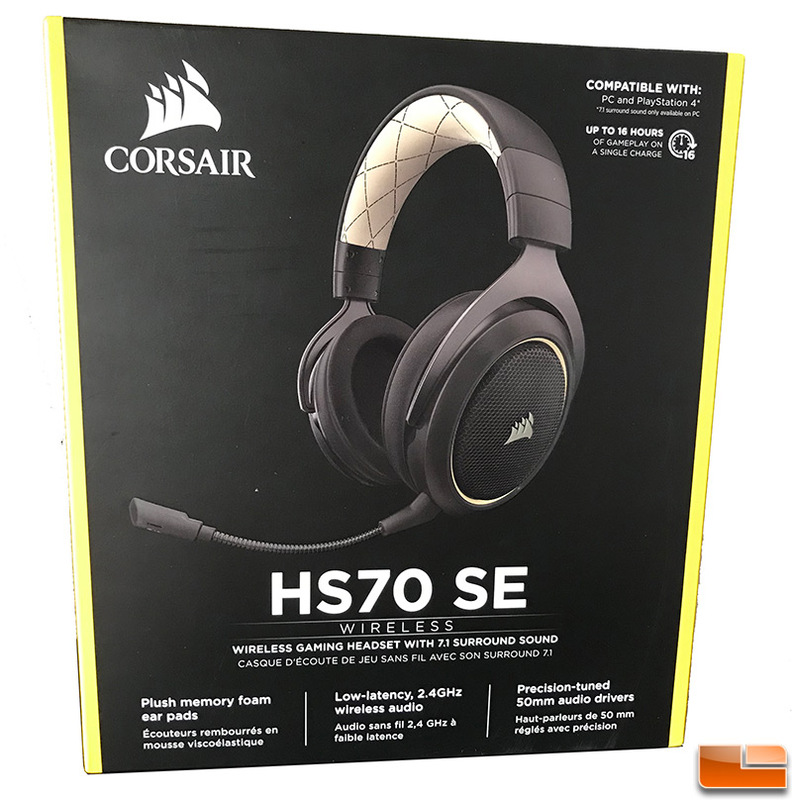 The Corsair HS70 WIRELESS is equipped with very effective heat and moisture resistance that epitomizes part of what I look for in a headset. My biggest pet peeve with a headset is that it’s heavy, clunky, and hot. The Corsair HS70 WIRELESS was none of these. 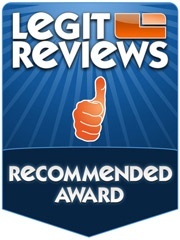 With outstanding quality meeting an unbeatable price, Corsair has really outdone themselves. 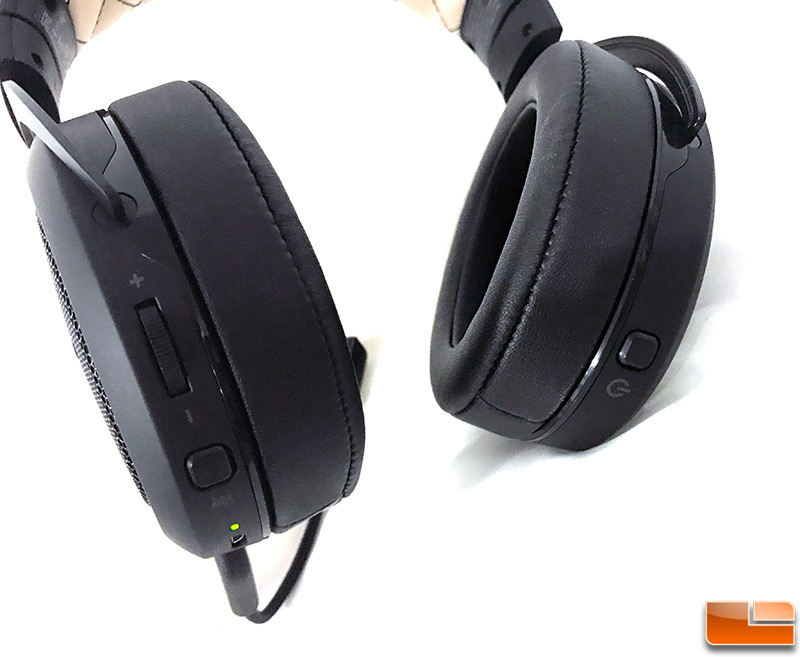 The plug-and-play feature with the PlayStation 4 makes this headset extraordinarily easy to use. 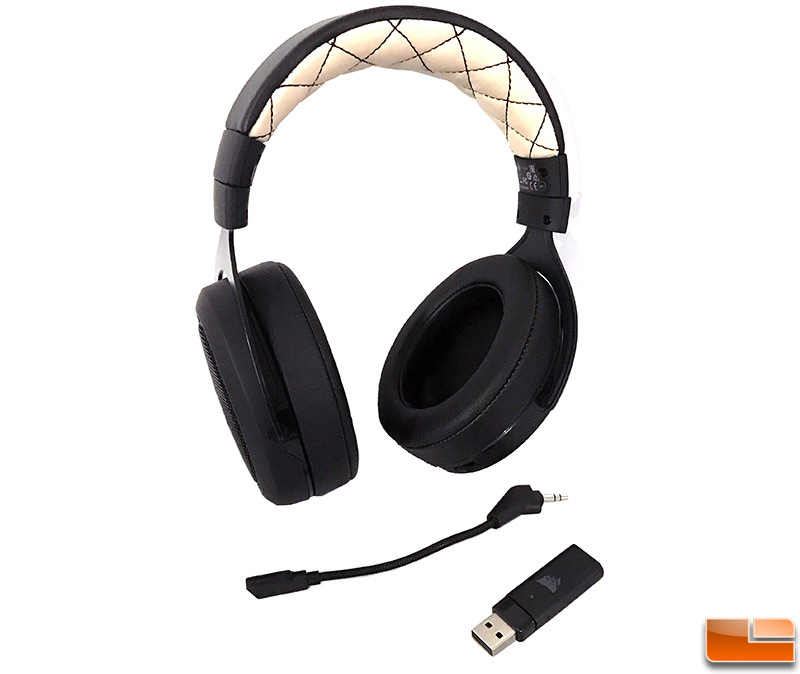 You can pipe both the chat audio and game audio through the headset, allowing you to take full advantage of the custom-tuned 50mm neodymium drivers for 7.1 virtual surround sound performance on PC and full range stereo sound on PlayStation 4 provides for a truly enjoyable audio experience. At a price point of $89.99, I am stunned at the sound quality. Chat audio is critical to success in Battle Royale games like Fortnite and PUBG and the Corsair HS70 WIRELESS delivers beautifully. Its noise cancelling ability is fantastic; I was able to turn the sound up, mute and unmute chat, and power on/off the headset using the intuitive on-ear controls. Acoustic tuning of the slim profile, oval-shaped ear cups further enhance noise isolation and audio quality. A fully detachable noise-cancelling microphone provides easy adjustability and transportability. 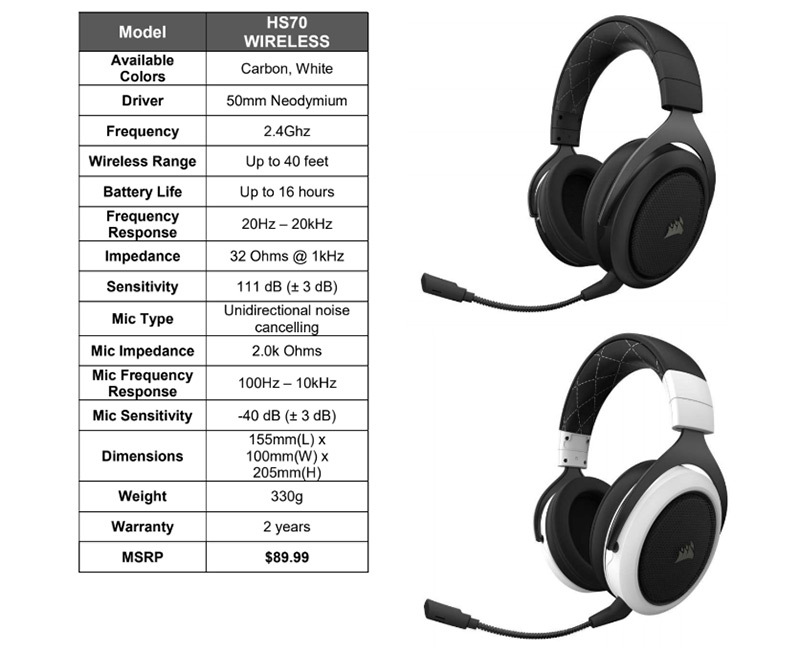 The gaming experience in playing Fortnite using the Corsair HS70 WIRELESS headset provided a level of immersion that is difficult to find in most headsets, and the ability to quickly and efficiently communicate using the low-latency, 2.4Ghz wireless audio that you get when you purchase this headset. 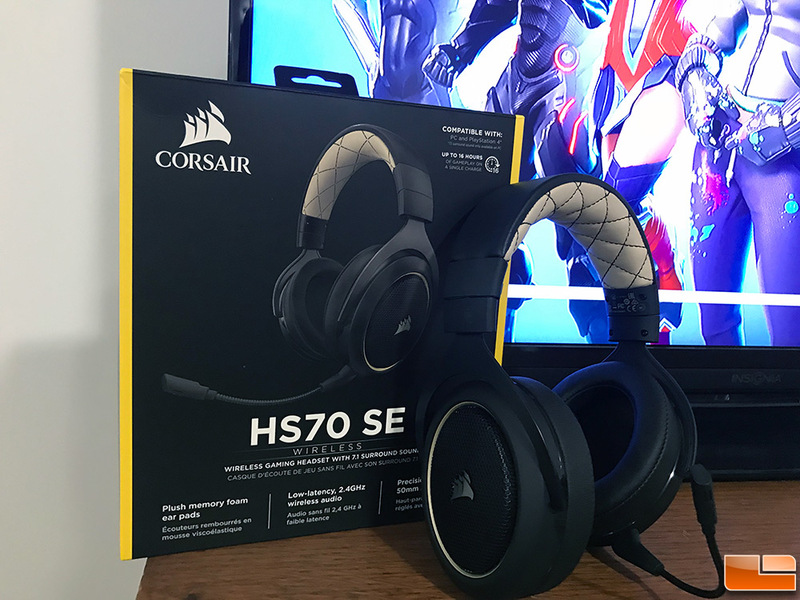 Additionally, you can walk away from your console as needed without losing track of what is going on with the team, since the Corsair HS70 WIRELESS has an improved range up to 40ft and up. The Corsair HS70 WIRELESS delivers in performance in a way that just blew my mind. Have a lot going on in the background while you’re trying to be the last (wo)man standing in Fortnite? The flexible, optimized, unidirectional microphone reduces ambient noise for enhanced voice quality and is easily detached for use on-the-go. Feedback from my teammates was all positive, and the noise around me was easily cancelled and my audio came through crystal clear. I was able to easily place the mic wherever I wanted it and it stayed until or unless I adjusted it. It was very easy to move and the stability of that placement meant that I wasn’t constantly messing with it: it was set it and forget it. Want to customize the audio? The HS70 Wireless makes available the CORSAIR Utility Engine (CUE) software (download the latest build here) that gives you full control over your headset’s features through an intuitive and simple to use interface. We should point out that Corsair’s CUE software is only available for PC gamers, so PS4 users are out of luck. The Corsair HS70 WIRELESS is available in Black and White and both are backed by a 2-year warranty for peace of mind. Legit Bottom Line: The Corsair HS70 Wireless gaming headset redefines what one can expect from a sub $90 wireless headset.